Do you plant tomatoes? If you’re a regular follower of our blog, then you know that Leo and I grow a lot of tomatoes. But we are always searching for more information about how to grow the best ones. My primary go-to place for information on the internet about anything related to homes and gardens is Hometalk. Earlier this spring while I was browsing Hometalk, I ran across a tip about putting eggshells in the hole where you plant your tomatoes. We knew that eggshells were a good source of calcium for the tomatoes, but we had been tossing them into our compost bin. After reading this tip, we added some crushed eggshells into the holes where we planted our tomatoes. I included this tip as well as some other successful strategies in the post Our Tomato Planting Tips. 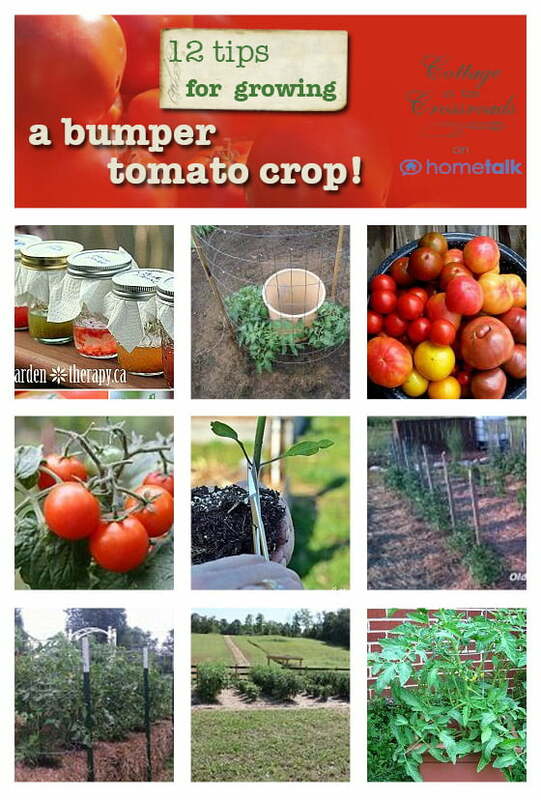 After publishing and sharing that post, I started a clipboard on Hometalk including more tips on growing tomatoes so that all the information that I found would be in one place. Clipboards are a unique feature of Hometalk where you can clip your favorite posts to themed boards. The graphic above contains 12 clips that should guarantee all of us a bumper crop of tomatoes this year. You can click on the photo to find all this information. Have you ever visited Hometalk? It’s a place where you can not only get information about home-related things, but you can ask questions and upload photos of your projects. 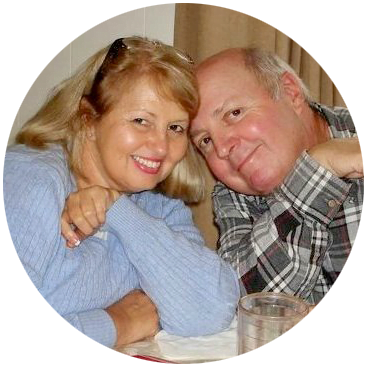 If you need any sort of advice about your home or your garden, there are experts, professionals, and members of Hometalk who will answer your questions. And it’s all FREE! So take some time to look around Hometalk. You’ll be glad you did. I didn’t plant any tomatoes last year because the year before I was a total failure. I am going to look around at these posts and maybe try again. I honestly don’t think I have enough sun though. Love the clipboard…such summery colors! Super clipboard Jane! !…and I would certainly go to you for any planting advice as you and Leo have had such great success in your garden!! I was thinking about you the other day Jane as I was browsing tomato plant varieties 🙂 I need to use the clipboard feature at Hometalk! I used several of your tips this year for my tomatoes. Can’t wait to see the differents this year from last year. Jane, if your weather ever gets nice enough I am going to do the egg shell method with our tomatoes. You can also water the plants with the hard boiled egg water for calcium after it cools down of course.